Some people misunderstand what genes are for and what they do in the body. People don’t understand that genes direct the production of proteins. Genes, on their own, are not the masters but the servants. And, as entirely passive strings of chemicals, it is logically impossible for them to initiate and steer development in any sense. Long before scientists even knew what the structure of DNA was, the idea of genetic or biological determinism was prevalent. Genetic determinism is the theory that an individual organism’s behaviour is predominantly controlled by that individual’s genes, playing down or eliminating the role of environment entirely (de Melo‐Martín, 2003). In fact, this theory remained popular throughout the twentieth century, and it is only in recent decades that continuous scientific study has been capable of diminishing the role of genetic determinism in the behaviour of living things. DNA, and the genes it encodes, used to be compared to the pages of a book. The DNA was written down carefully, page after page, in a specific manner, and if this “book” was read in a specific way, the resultant interpretation would lead to genes and, by extension, a biological being. However, if any part of the DNA sequence was written down incorrectly, this would lead to errors i.e. gene mutations. This analogy corresponds very well with genetic determinism – nothing matters but the genes that are encoded. However, nowadays DNA is akin to the hard-drive of a computer; the base sequence from which everything else is built upon. DNA on its own does absolutely nothing until activated by the rest of the system through transcription factors, markers of one kind or another, interactions with the proteins. Modifications that directly affect DNA, such as mutations, are actual errors or damage to the hardware. Any additional modifications to the DNA are comparable to software installed on the computer i.e. do not directly change the DNA sequence but, rather, sit “on top of” the base data in order to change the final outcome of any given sequence. This software has a few names, but scientist like to call it epigenetics. However, systems biology has been responsible for some of the most important developments in the science of human biology. It is a holistic approach to deciphering the complexity of biological systems that starts from the understanding that the networks that form the whole of living organisms are more than the sum of their parts. It is collaborative, integrating many scientific disciplines – biology, genetics, computer science, engineering, bioinformatics, physics and others. 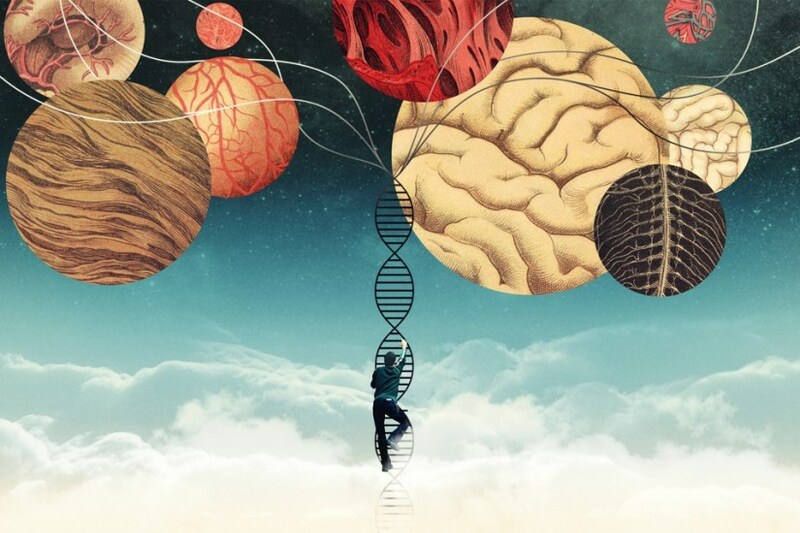 Epigenetics is the branch of genetics which deals with changes to DNA that alter levels of gene expression, without altering the DNA sequence itself (Berger et al, 2009). Many epigenetic signals are known as post-translational modifications; by and large, these modifications occur at the site of gene transcription and ultimately determine whether a gene is over-expressed, under-expressed, or expressed at all. These epigenetic modifications can permanently turn genes off when they are deemed entirely unnecessary. Modifications such as these can be activated and deactivated based on particular environmental stimuli, be that stimuli from within the cell itself or externally e.g. too much sunlight, not enough food etc. Perhaps most importantly, whilst epigenetic modifications are heritable – they can be passed on to offspring - they can also be very readily reversed (Berger et al, 2009). Viruses/bacteria/fungi/parasites are the gene manipulators... as humans go, our own genetic mutation is copy/replication “mistake” error driven but when living in an environment with all the pathogens, we are constantly getting edited by these manipulators which give us cancers, diabetes, autism, etc. We have so many viruses embedded in our genome that we can’t even begin life (initial cell differentiation) without utilizing the initial control functions passed from a virus, unlike all other mammals which don’t have these virus type cell differentiators. We are symbiotic with our gut bacteria for energy and digestion and to defend against other bacteria and viruses. Effectively, human/“intelligence” is just a survival strategy. That is, a method of acquiring energy for structuring the growth of an organization of cells... the greater/higher the level of intelligence, as defined by both breathe of knowledge about the external reality and the temporal domain of reality (history for perspective and future for planning to be where the energy will be, or even better planting the future so energy will be there when and where we want it) is just the extension of that strategy of acquiring energy, nutrients, etc. Due to climate variability, we acquired adaptability as a trait for species survival... A BIG thank you to that massive Yucatán asteroid for wiping out the dinosaurs that forced only the animals with adaptability to survive through 4-7yrs of dark sky “asteroid fallout” winter. Otherwise we’d be being eaten for snacks by T-Rex and his little cousins like Raptors, they were better evolved for energy acquisition than mammals, mammals had to outsmart them to survive at night when it was colder then they liked it... the little warm blooded mammals could live in caves and scurry out at night to gather food stuff. Guess who got lucky when it got too cold for the massive dinosaurs to breed and when all the plentiful food disappeared after two cold winters across the planet? 66 million years ago, mammals got a lucky break to takeover the world... the value of intelligence got upgraded from “energy seeker” predator models to “energy seeking “predator/future planner (farmers, builders, etc) models. Human physiology evolved due to the constant changeability of the new environments that our ancestors found themselves in. If we would have evolved in, say, more stable, unchanging environments, our physiological systems would have never evolved how they did. There are always going to be genetic components to some aspects of why an organism is the way it is. However, human physical traits such as height, which used to be considered entirely genetic, are now considered to be a mix of both genetics and epigenetics. The idea that genetic determinism has little consequence on our development threatens even deeper - albeit, for most humans, positive and liberating - consequences. Imagine that social class structures are not, in fact, genetic caste systems; that human potential is not written in genes as pre-determined limits. Such a change to the status quo would allow anybody to do almost anything, regardless of their genetic make-up. No wonder some people are still finding the debunking of genetic determinism so hard to swallow. So what does all this mean for genetic determinism? Essentially, it means that genetic determinism should be rejected. So why has it taken this long for such an archaic idea to be discredited? Perhaps it is not that surprising. As Thomas Kuhn (1957) wrote about the first Copernican revolution, “If Copernicus’ proposal had had no consequences outside astronomy, it would have been neither so long delayed nor so strenuously resisted.